You can now buy print copies of issue #3 in the store! And as a special thank you to all of you who have been supporting the comic by buying the print issues up to now, up to June 30 you can get $1.00 off your copy of #3 for every previous issue you’ve bought. When you’re checking out your shopping cart, enter the order number(s) from your previous purchases in any comments area during the transaction, and you’ll be refunded the corresponding amount within 48 hours of your purchase. Example: If you bought #1 and #2, you can get #3 for $6 instead of $8. If you bought 8 copies of #1, you’ll be refunded for your copy of #3 and will only have to pay the shipping. 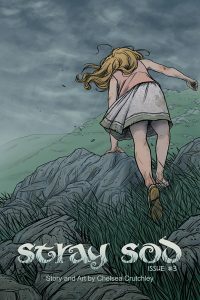 But what if you’re buying issues of Stray Sod for the first time? The offer still applies, if you’re buying #1 and/or #2 at the same time as #3. Just grab ’em before the end of the day on June 30th!